The United States and the United Nations have listed Al-Qaida in the Arabian Peninsula fugitive Fahd al-Quso as a Specially Designated Terrorist. The United States and the United Nations have listed Al-Qaida in the Arabian Peninsula fugitive Fahd al-Quso as a Specially Designated Terrorist. These actions will help stem the flow of finances to and inhibit the travel of this dangerous operative. "The designation of Fahd al-Quso highlights U.S. action against the threat posed to the United States by al-Qaida in the Arabian Peninsula," said U.S. Ambassador for Counterterrorism Daniel Benjamin. The "joint designation by the United States and the United Nations alerts the public that Fahd al-Quso is actively engaged in terrorism. These actions," said Ambassador Benjamin, "expose and isolate individuals like al-Quso and result in denial of access to the global financial system." Prior to the formation of al-Qaida in the Arabian Peninsula, or AQAP, al-Quso was associated with al-Qaida elements in Yemen and involved in the 2002 USS Cole bombing in the Port of Aden, which killed seventeen sailors. He was jailed in Yemen in 2002 for his part in the attack. Following al-Quso's release from prison in 2007, he joined al-Qaida in Yemen. 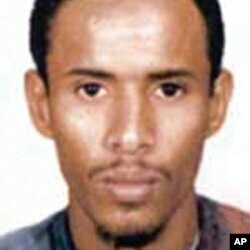 In November 2009, al-Quso was added to the list of the FBI's most wanted terrorists. Al-Quso is connected to other designated AQAP senior leaders, including Anwar al-Awlaqi, Nasir al-Wahishi, and Said Ali al-Shiri, and acts as a cell leader in Yemen. In May 2010, al-Quso appeared in an al-Qaida in the Arabian Peninsula video in which he threatened to attack the U.S. homeland, as well as U.S. embassies and naval vessels abroad. The terrorist designation blocks all al-Quso's property interests subject to U.S. jurisdiction and prohibits U.S. citizens from engaging in transactions that benefit al-Quso. In addition to the U.S. domestic action, the United Nations Sanctions Committee's listing will require all U.N member states to implement an assets freeze, a travel ban, and an arms embargo against al-Quso. The actions taken against the AQAP operative demonstrate international resolve in eliminating its ability to execute violent attacks and to disrupt, dismantle, and defeat their networks. This designation represents just one phase of the U.S. government's response to the threat posed by al-Qaida in the Arabian Peninsula.